This Red Cross first aid, CPR and AED instructor transfer course is designed for candidates that have previously recognized first aid or water safety awards. This course is approximately half the length of the full first aid and CPR instructor course that we also offer. Candidates must meet the required set of prerequisites in order to attend this course. 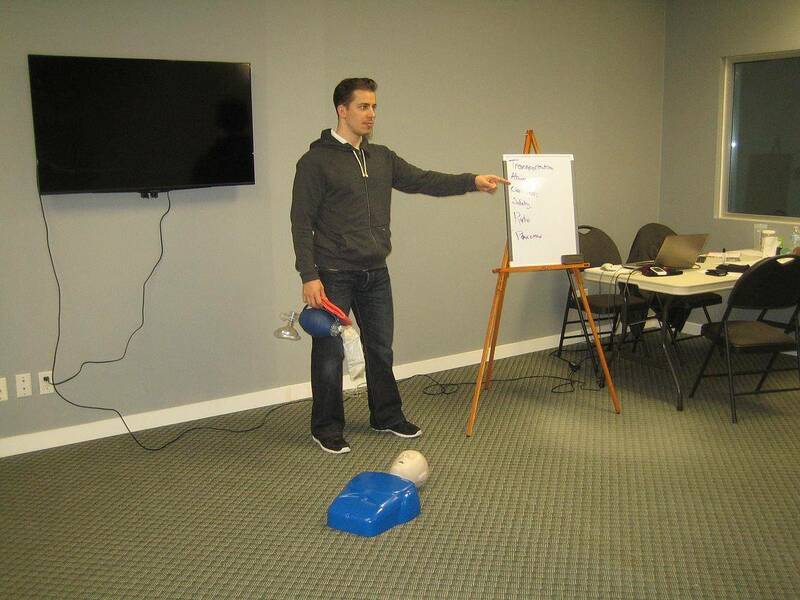 Individuals that successfully complete this program will be able to teach Red Cross first aid, CPR and AED courses. Take a Red Cross first aid instructor course and become a teacher of first aid and CPR. The cost of this 20 hour course is 475 dollars. To register for this program simply scroll to the bottom of the page to view all of the available course dates and locations. We offer this course at all of our training centers in Vancouver and Surrey. You must be certified as an instructor through another credible provider such as: Lifesaving Society, Heart and Stroke Foundation or St. Johns Ambulance. You must be certified as a Canadian Red Cross Water Safety Instructor. You must be a school teacher. Upon completion of this course and a required co-teach candidates will receive a Red Cross first aid instructor certificate that is valid for 3 years. We offer a fair and reasonable transfer policy for our Red Cross First Aid and Transfer course participants. Candidates can not receive a refund or transfer to another course within one week of the program. Prior to this time candidates can receive a full refund or transfer.